Yippy! 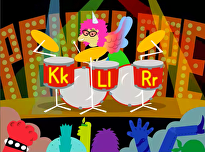 It's time for the letter Y! Yolanda loves her yo-yo. Draw your own yo-yo next to hers so that you can play with her. 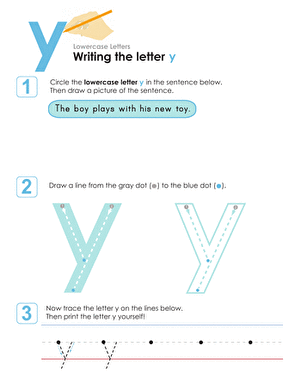 Then trace the uppercase Y's by connecting the dots in the correct order. 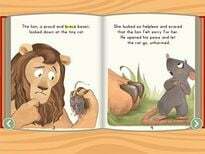 Once you've done that, try writing the letter Y on your own. 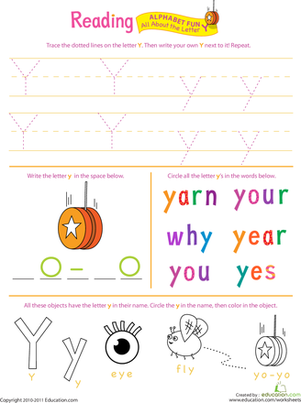 This worksheet will help your young writer build her fine motor skills as she learns all about the letter Y.
Y is for yo-yo! 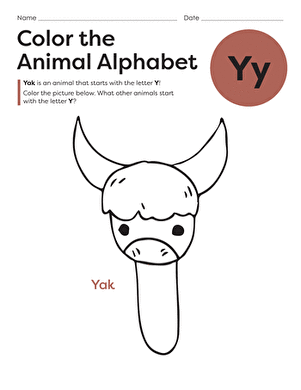 colour in the letter Y and its matching flashcard featuring a picture of a yo-yo and use them to practise memorizing the alphabet. 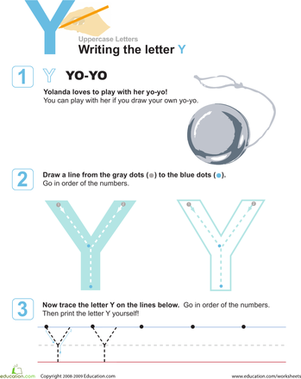 Yogurt, yarn, and yo-yo all begin with Y! 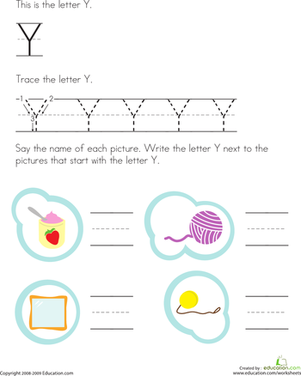 On this prekindergarten writing worksheet, kids trace Y and write the letter next to pictures that begin with Y. 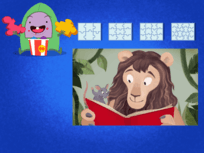 This letter Y is watching you! 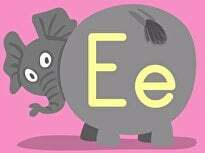 Have some monstrous fun with alphabet practise. 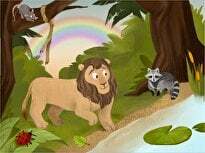 Not only is this coloring page cute and fun, it's also a great way to reinforce alphabet practise! 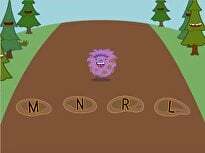 This page will be fun for her to colour as she learns to recognise words that start with Y.